People are preparing for the soon return of Yeshua/Jesus and the dark days that are ahead. Persecution in China is on the rise. Christians are being persecuted all over the world. Children believe we come from monkeys and husbands aren't coming to church anymore. 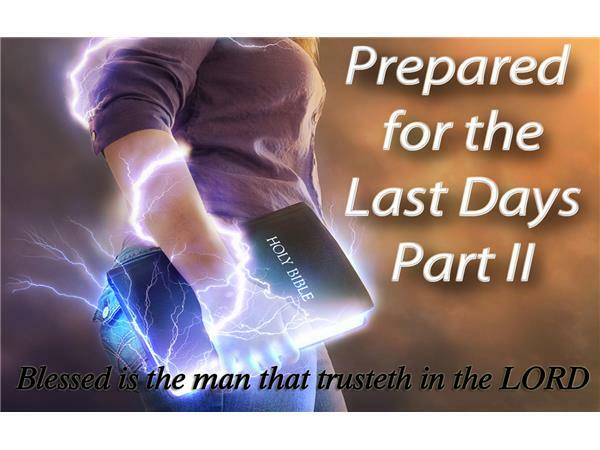 Folks we need to move from preparing into being prepared for the second coming. Our heavenly father needs prepared believers that are useful instead of defeated Christians that are doing nothing but having a giant woe is me party. Our God is calling us to the most critical mission the Church has ever faced. Standing strong in this earth’s darkest hours and sharing the Gospel to a dying world. My question to you is ARE YOU GOING TO RUN or ARE YOU GOING TO FIGHT!! !